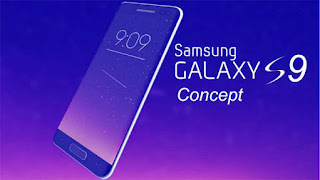 Investment, predicted that dual cameras will appear on the back of both the Samsung Galaxy S9 and the Samsung Galaxy Note 9. With all due respect to those two analysts, the tech world doesn't get terribly excited until such a proclamation comes from an analyst with a proven track record, like KGI Securities Ming-Chi Kuo. While Kuo is known for his fabulous calls on Apple devices, the analyst has lately tuned his crystal ball to the Samsung channel. Today, the KGI Securities analyst forecast that the Samsung Galaxy S9 will feature a rear-facing dual camera setup. While that is hardly an earth shattering call, especially in light of the dual snappers found on the just unveiled Samsung Galaxy Note 8, Kuo's track record solidifies the weight of his prediction. One gutsy call that he made earlier this month involves the fingerprint scanners on the Galaxy S9 and the Galaxy Note 9. Kuo said that the former model will keep the status quo for 2019, which means that the fingerprint scanner will be found on the back of Sammy's 2019 flagship phone. But the analyst says that the first Samsung model to employ a fingerprint scanner embedded under the display will be the Samsung Galaxy Note 9. Today's note to KGI clients says that Samsung is working with fabless semiconductor company Himax and Egis to produce the embedded fingerprint scanner for the Galaxy Note 9. It also mentions that the firm expects Samsung to ship 12 million to 14 million units of the Samsung Galaxy Note 8 in 2017.